Oliver Davies was born in Marylebone, London, in early December, 1804, the son of another Oliver Davies, a professor of music, and his wife, Mary Hoare. Originally from the Welshpool area, the elder Oliver Davies kept in touch with his Montgomery roots, as well as maintaining contact with other Welsh musicians living in the English capital, and so it was not surprising that his first-born should take up the harp then as now, considered the national instrument of his homeland. However, it was not the typically Welsh triple harp which Oliver Davies took up, but the fashionable pedal harp, as developed by Sébastien Erard, the French harpmaker established in Great Marlborough Street, London, since 1794. Another Frenchman, the charismatic Robert Nicolas Charles Bochsa* had arrived in London in 1817, and although he had arrived as a fugitive from French justice, in no time at all, he was the most popular teacher in all London, numbering the teenaged Oliver Davies among his many pupils. Bochsa became the first secretary of the Royal Academy of Music, and Oliver Davies's name appears on the list of applicants for entry to the new institution in 1822, along with that of his near-contemporary, Elias Parish Alvars. Neither was accepted for entry, Oliver Davies, who was almost 17, most probably being 'declined' on account of his age. Both he and Parish Alvars then appear to have worked for the harpmaker Frédéric Grosjean in Soho Square, possibly as demonstrators. Parish Alvars later dedicated one of his compositions to Grosjean, as did Oliver Davies, several of whose compositions were published from this address at 11 Soho Square. In the early part of his career, Oliver Davies is known to have played pedal harps made and sold by Grosjean. Later, he acquired a Erard 'Gothic' harp (no.5868). He eventually settled as a music teacher in Camden Town, London, at 21 Healey Street, where he died, aged 77, on 14 February 1882. 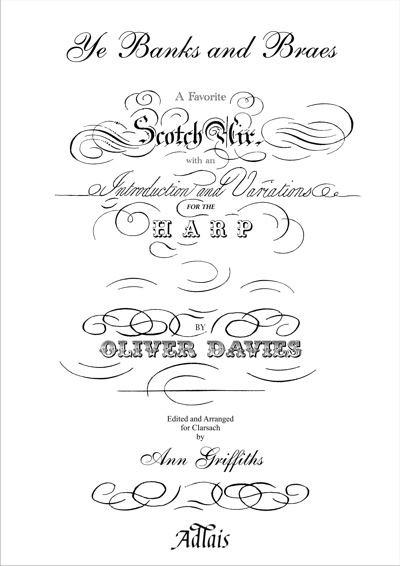 The Variants on 'Ye Banks and Braes' were written for pedal harp, but whereas his contemporary, Parish Alvars, was experimenting with all manner of 'new effects', Oliver Davies's compositions are set in a more traditional, far less harmonically complicated mould. 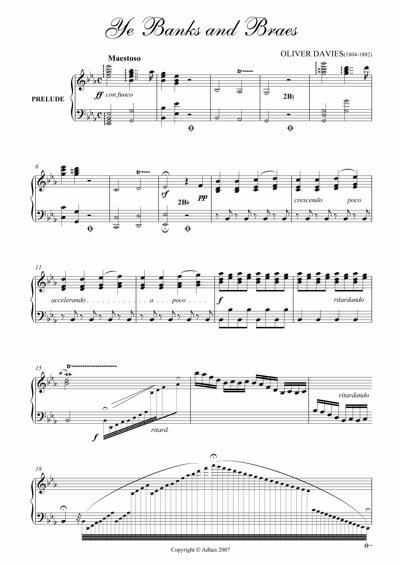 This is also demonstrated in his arrangement of the Welsh tune 'Good Humoured and Merry'[Adlais Catalogue no.013].Originally in G major, 'Ye Banks and Braes' has been transposed into E flat major and edited and re-arranged by Ann Griffiths so that it is playable on 36-string lever harp or clarsach, thus adding a splendid new solo to the repertoire. This first clarsach edition of 'Ye Banks and Braes' is dedicated to the Edinburgh Harp Festival 2008. 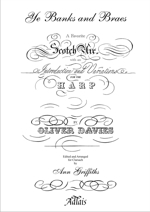 The author would like to express her thanks to Oliver Davies, FRAM, FRCM, for his generous help in establishing biographical details for his namesake. *For further information on Bochsa, see the article included in Adlais's edition of his Morceau d'Expression.